Growing up my mom would always say the phrase, “I love you a bushel and a peck and a hug, a hug, a hug around the neck boop boop” to us every night. I now sing it to my kids, my son just loves it. When I came across this frame from Chick Lingo I felt it was necessary to share. Adding a piece of art like this to a nursery or kids room adds such a personal touch. 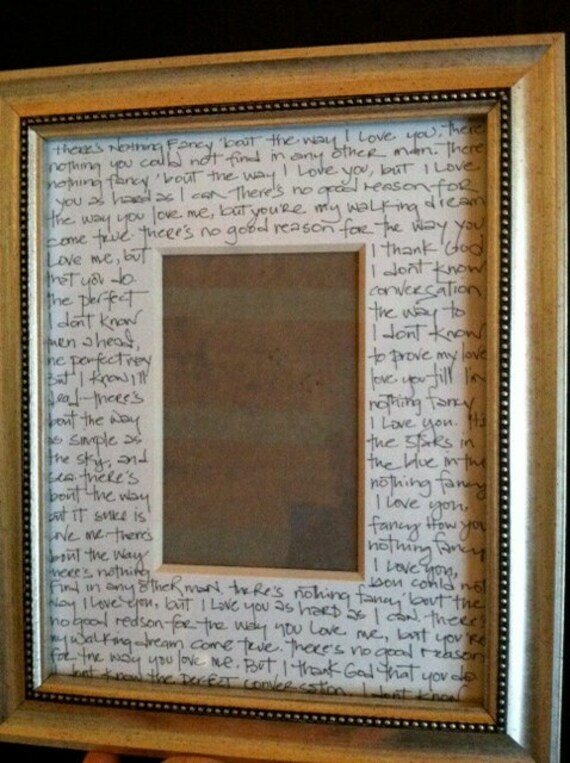 Other ways to do this is writing out the lyrics to your wedding song on a mat inside a frame. Add a picture of your baby and the love from the song goes along with the love you have for your new baby. 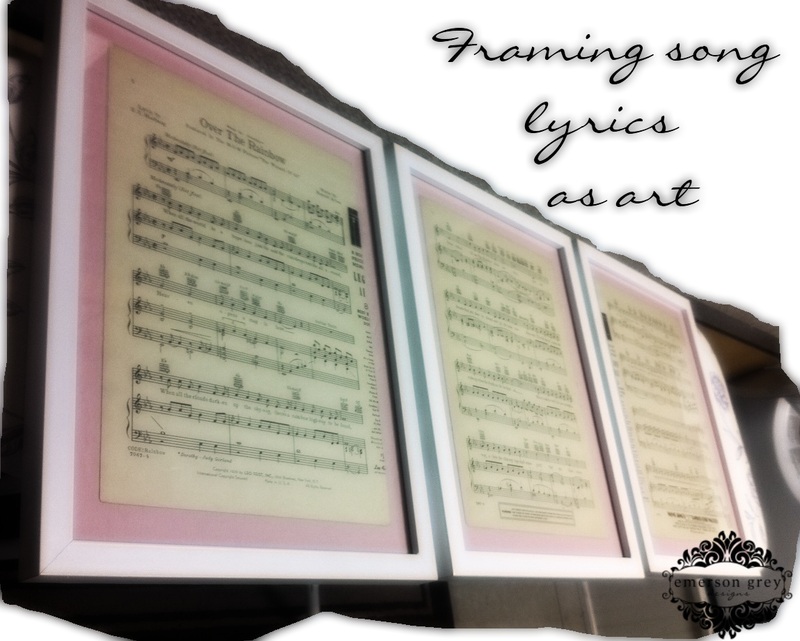 Another popular way is framing sheet music to a special song and displaying them in your nursery. This was something I recently suggested to my client. I can’t wait to see how her display of personal nursery art turns out.